Everything you need to stay fuelled and motivated to get work done. InnoWork has your back. 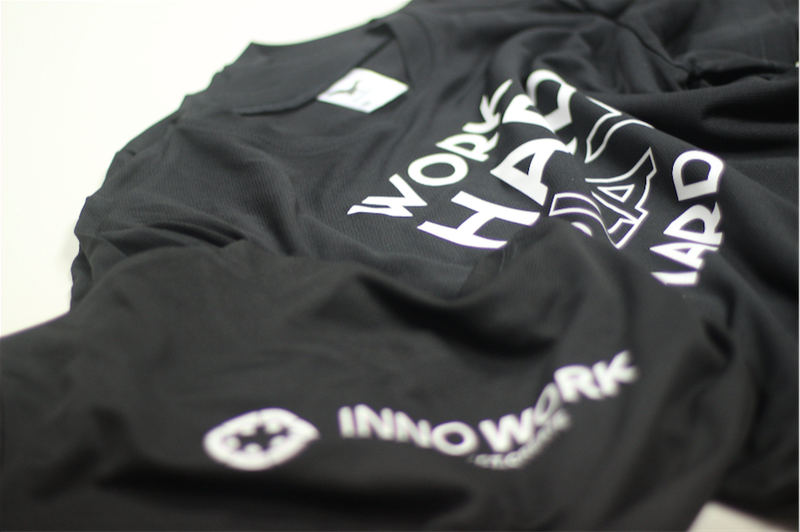 InnoWork is a place you’ll be proud to call your own. A place companies and freelancers of all sectors come together, find their place and build lasting relationships. We all find ourselves stuck on problems from time to time. With cowork innovators spread across multiple companies under our roof, a solution is never far away. InnoWork is designed to enhance your work flow. 85% of those who moved into a coworking space said they are more motivated. It’s more than just a beautiful space. InnoWork diversity of skills and people; its atmosphere and its energy activate great business. What is InnoWork HUB in Targu Mures? InnoWork is a space to inspire, connect and enable people to realise enterprising ideas for sustainable impact. This is a new kind of collaborative shared office space and coworking community for freelancers, entrepreneurs and remote employees and workers. Here Entrepreneurs, Technologists, Developers, Makers & Creatives help each other build businesses & other cool things together. You no longer need to work from home (with all the personal distractions) or work from a café where slow WiFi, no printers and the ever-present coffee drink blender prevents concentration and conference calls. Whether you need a workplace for an hour, a day, or many times per month, we have the plan for you. Open work areas, meeting rooms, all with lightning-fast WiFi, printer access, and coffee that doesn’t cost 2 euro a cup. It’s not about the space. It’s about the community. Yes, you have a membership, but the value comes from the members within the space. Renting office space is just about the space. They’re spacious, and they’re just for you. Set up a desktop and leave your stuff. A very comfortable desk, chair and pedestal. Help yourself to some coffee or tea while you work. It’s on the house. A fully stocked kitchen with fresh coffee, tea, water and lounge area to power through the day. Our general coworking area includes desks, tables, couches, and plenty of seating. Set up and get to work. Reserve the building’s conference room for your meetings, big or small, also a room for Skype call or quick phone calls. Free high speed Wifi internet accessibility for everyone. Get online. Feel free to use our convenient wireless office printer for print-outs. We offer unbeatable discounts on hosting, invoicing and other so important for a startup and freelancer. Priority registration for all workshops and events, lead by local experts and designed to provide opportunities for professional development. A smiling face to greet your visitors, brew the coffee, and help you at every turn on your startup journey! Professional E-Mail address @innowork.eu and mailing handling, you can receive mail and packages at our location. Handyman, Fixes, Cleaning, etc. Everything you need for a hassle-free office space. Whether you work freelance, self-employed, or with a small business, we know affordability for a coworking spot is important. We have some of the best rates in town. We don’t forget why we exist. Coworking is meant to be ﬂexible and aﬀordable. The most important factors for coworkers are convenience and aﬀordability. We don’t lose sight of this fact and be sure to create a number of packages to suit diﬀerent member needs. From casual drop-ins to 30, 80 hours and unlimited access. The subscriptions packages are build to cover the rent and utilities, all the rest are covered through the hard work of our team of volunteers and with the help of our partners. We’re not too big, but we’re just a few minutes from downtown, and we spent a lot of long hours designing the interior space to feel comfortable, refreshing, and inspire ideas and creativity. Our open space is perfect for collaborating on projects, writing or working in peace, or coming up with the next big thing. We have 6 fix desks and 6 flexible desks, fast Wifi, comfortable seating, a kitchen and fridge (coffee and tea are on the house!) printer access, conference room. We hold social events for members, we keep you up to date on networking and development meetings/events of interest, and we strive to help you succeed in your craft and enjoy your work. Start your coworking adventure at InnoWork today! Open 8.00-18.30pm, Monday to Friday (unlimited access for full-time members, based on card control). *Displayed tariffs don’t include VAT. How long are the membership terms? We like giving our members flexibility. That’s why our memberships are all month-to-month so there’s no term commitment, no deposit, no application fee. When you sign up, we will bill you the rate in advance of each new month. If you are canceling your membership going forward, you must give at least 7 days advance notice prior to billing. Office managers are generally around most of the time between 8am to 8pm Monday through Friday. After we’ll install the system access based on card, all members are given full 24/7 access to the space– so if you like to work nights and weekends, we’re open for you. Every now and then we’ll have an event going on in the space but it’s pretty rare, we only schedule events that are for the benefit of the members, and we’ll give you plenty of heads up about the timing of things like that so you can plan around if need be. Can I have mail delivered to the office? Yes! Members are able to use as their business mail address. What is the process of joining as a member like? Fill in the form here to let us know you would like to join as a Nomad or Neighbor, for the smaller packages there is no paper to fill out.. Before you can officially become a member, you must fill in an application form and sign the Membership Agreement if your application is approved. At this point just reserve your desk and we’ll let you know about the next steps. Are there social events? How often? We organize various events, sometimes weekly, sometimes just a couple a month. They range from drinks nights at local bars and restaurants, board game events, movies, community cookouts, and all sorts of things. We’re always up for suggestions if members want to do something! Yes! We give a 10% reduction on membership rates for small businesses or organizations, applied to the third subscription. I make a lot of phone calls. Is that an issue? While our office space is generally on the quiet end while people are working, it’s not a library and we are fine with members taking and making calls in the space as long as you’re not yelling or being obnoxious. We do have a private call room that is available and great for longer calls or just to not disturb others. Also, our conference room is always open (if it’s not reserved) for use in being on the phone. What’s your policy on pets? Y We do allow small pets if they are not a disruption to the rest of the office (though please ask us in advance). If they prove to be a nuisance, we’ll ask you to keep them at home for the consideration of the rest of our members. Book a tour view using our Book option from our Facebook page or send us an email at monica “@” innowork “.” eu.